Soon, the Andheri West centre facility of coworking hub Awfis might be the next stop for startups. After SoftBank backed e-commerce major Snapdeal booked a complete floor, with a capacity of about 90 seats, Awfis expects more startups to follow suit. “This relationship (with Snapdeal) will increase our ability to attract new age businesses to our pro-working spaces and will have a positive impact on our business,” says Amit Ramani, CEO, Awfis Space Solutions. Coworking spaces are shared office spaces wherein individuals or companies can rent desks for a day, weeks or months, depending on the requirement. As per Tracxn, a startup data tracking firm, there are 61 co-working spaces in India of which 16 were set up in 2016. At Awfis, the rent per desk includes basic amenities like free high speed Wi-Fi, printing credits, unlimited hot beverages, complimentary meeting room credits that can be utilised across any Awfis centre. However, Snapdeal refrained from commenting on their operational and real estate savings as they move into a coworking set up. The Andheri Wast facility of Awfis comprise of two floors with 255 seats, four meeting rooms, one meeting lounge, break-out zones and collaboration zone housing companies including media companies Big Synergy and Trilogic Digital Media; ChompFoods, a food and beverage company; Dion Global, IT company; PL International, a construction company; Dreams Univision Interactive Pvt Ltd, an entertainment company and Offing Group, a shipping firm. With 12 centres across India, over 2,600 desks and 2,300 active members, it is one of the largest coworking hubs. 20% of companies working out of Awfis Space Solutions are traditional companies. “Established companies are lately choosing work-near-home over work-from-home which is a key benefit for employees to reduce their commute time significantly,” Ramani said. Last August, Gorakhpur got its first co-working space, Startup Cafe. When Arunn Guptaa, 30, launched it, he had to start from scratch – the concept didn’t really exist in all of eastern Uttar Pradesh. “Many weren’t aware of the term. So I made animation video tutorials explaining it and posted them on social media, WhatsApp groups and took out advertisements in local newspapers,” says Guptaa, a graduate in business studies who has previously worked with major e-commerce platforms. Now, 50 people – start-ups and freelancer – work out of the 2,500-sq-ft space. 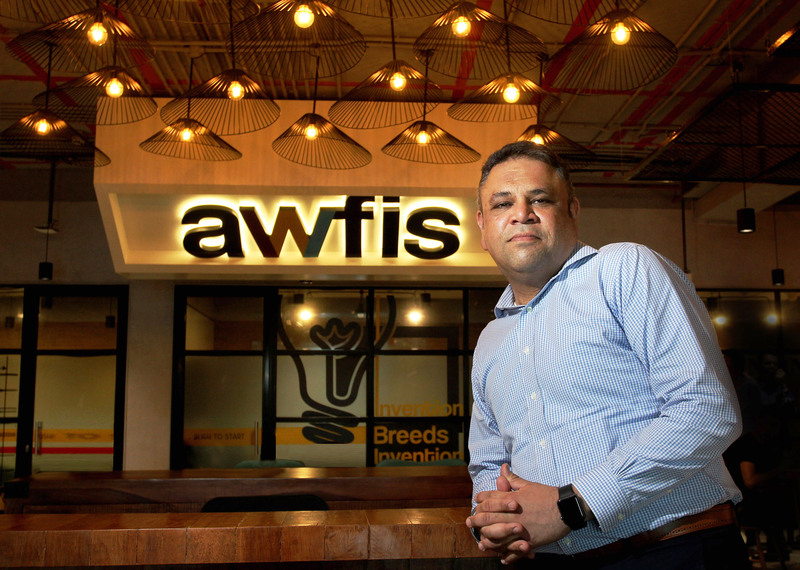 Awfis, which has made its mark with multiple spaces in the metros, launched an outpost in Chandigarh earlier this month. They already have centres in Hyderabad and Pune. Within three months, they plan to foray into Ahmedabad and after that, non-metros like Jaipur, Bhubaneswar, Kochi and Indore. Elsewhere, young entrepreneurs are launching co-working spaces in cities like Surat, Rajkot, Udaipur and Panaji. They’re offering services like GST registration, incorporating local elements in designs and layout, and organising networking events to boost local start-up ecosystem. According to a research report for 2017-18 by real-estate services firm JLL, there are approximately 350 co-working players / service providers operating an estimated 500 shared workspaces across the country, compared to less than 30 centres in 2010. The bulk of this segment is restricted to seven cities – Mumbai, Delhi/ NCR, Bengaluru, Chennai, Pune, Hyderabad and Kolkata. But smaller markets like Jaipur, Chandigarh, Ahmedabad, Kochi are expected to see a boom in this segment, the research suggests. “The entrepreneurial spirit in smaller cities has exponentially increased their potential to be up-and-coming hubs of co-working spaces,” says Amit Ramani, CEO and founder of Awfis. Akshit Mehta, founder of Vorq Space that has two co-working centres in Mumbai, agrees. “A NASSCOM report says that lndia is expected to have as many as 11,000 start-ups in the tech domain alone by 2020, of which a significant number will be based in non-metro cities,” he says. Availability of space, high speed internet and more importantly, low-cost leases, are also encouraging entrepreneurs to focus on non-metros. “Government initiatives like smart cities mission have enhanced real-estate growth in these regions, making it easier to provide Grade A workspaces at affordable prices,” Ramani says. Based on the non-metro markets they are in, the spaces also feature local elements in their design. At 9lSpringboard in Panaji, vibrant murals sport anchors and lighthouses. “Cultural sensibility also plays an important role,” says Ramani. Once they understand it, the formula offers a win-win for the growing number of entrepreneurs in non-metro cities – they get office space without hassle of running it themselves or maintaining it; plus, they can network with other entrepreneurs at no extra cost. Interior designer Anubhav Suri has been working out of a co-working space with a team of three members at Startup Café in Gorakhpur for five months. “Monthly rental for a 200-sq-ft office space would be Rs 20,000. I’d have to spend extra on infrastructure and amenities. Here, I can rent a fully equipped cabin for Rs 5,000 per month,” he says. The traditional office space has for long been characterized by lack of flexibility, scalability and affordability. The constraints of conventional work spaces has translated to opportunity for co-working spaces which has indeed become the buzzword in today’s office real estate. Imagine a space with multiple breakout zones, travel-desk, concierge, café, gym, spa, gaming zone, brewery, crèche, shuttle service to last mile metro station and even ‘meditation and frustration’ zones for warding off Monday blues. No, these are not features of an upmarket lifestyle apartments but rather a fast growing brand operating co-working spaces in the country. According to Sudeep Singh, CEO, GoWork, “We believe in giving significant focus to the individual, apart from the work.” Their current clientele includes the likes of Zomato, Paytm, FlyingFur, Impactify, Lifelong, Fixoo, etc. Flexibility is the name of the game with packages designed for use as varied from a daily to a monthly to an annual basis. For instance they have a package called Day Tripper (at Rs. 350 per day), Tourist (at Rs. 3,750 for ten days), Resident (at Rs. 6,500 for a month), Citizen (an exclusive membership, at a price of Rs. 8,250), Minister (one’s personal space at a price of Rs. 10,000) and Virtual Office (at Rs. 2,500). Welcome to the world of collaborative working or co-working where your next-door neighbour is not a colleague from the same company but another start up, medium sized company or an entrepreneur. Typically, it is attractive to start ups, small and medium companies or work-at-home professionals, independent practitioners who end up working in relative isolation. Coworking is not only about the physical place, but about establishing a community. 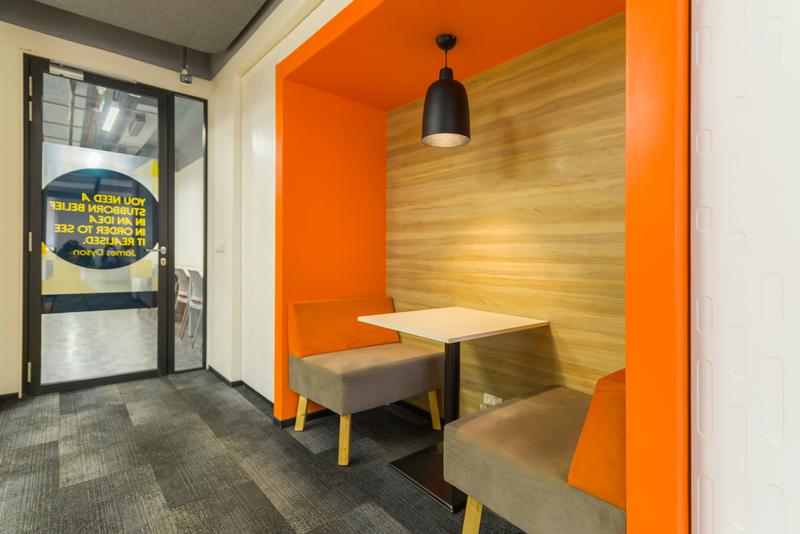 The co-working spaces typically offer four formats of working space. First is the flexi seat which is not dedicated work station but has locker space available for a month at Rs 5,000. Second is the fixed seat which comes at Rs 7,000-12,000/month. Third is the Cabin seat with a two seater, four seater, six seater available for anything between Rs 8,000-20,000/month and finally the Bespoke spaces which are the underutilised spaces in hotels and malls converted to shared workspaces example Awfis has some work- space at Taj Deccan and malls in Mumbai, Pune. However the prices vary across coworking space providers. At GoWork, where a standard single cubicle with a couch at a space of 120 sq ft comes at Rs 12,000 per seat for a professional, there is also a package of Rs 16,000 where one can get unlimited beer* (*3 beers a day). For C-level employees, there are premium packages are available at Rs 30,000- 45,000 per seat. An important feature of co-working spaces is interactivity that is attained through inclusive design, and engaging activities. A wine tasting session on the weekend, a culinary week with MasterChef competitions, to a morning fitness party are all ways to build bonds within the co-working community. 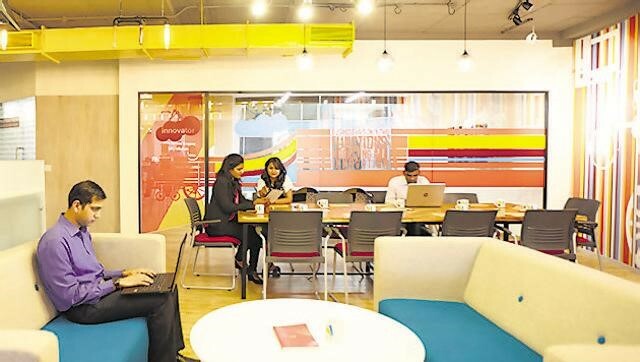 Mumbai: Co-working spaces, so far popular with start-ups and entrepreneurs, are increasingly attracting larger companies as well, as mobile work forces and cost savings encourage many organizations to try out new ways of work. According to office solutions providers and consultants, many companies are going for flexible shared office spaces with no long-term leases and without any fixed capital investment. Co-working spaces can save around 20-25% of real estate costs, says a 7 July report by property consultant JLL India. Media company Discovery Communications, Inc. has booked around 150 seats at an upcoming shared office premises from WeWork at Mumbai’s Bandra Kurla Complex (BKC), two people aware of the development said, on the condition of anonymity. In January, WeWork, a US-based co-working space provider, leased the entire 16-storey ENAM Sambhav tower in BKC and plans to start offering office spaces with 2,000 seats starting September. A Discovery Communications spokesperson did not respond to email queries on the development. WeWork’s India lead Juggy Marwaha declined to comment on the deal, but said that many large firms increasingly prefer shared work spaces due to the limited availability of quality offices in prime locations and also “to understand and incorporate start-up culture into their organisations.” “We are in a scenario where good quality spaces are not available in the market. Vacancy levels are down in almost every market. Co-working spaces offer a good solution not only to start-ups and freelancers but also to large enterprises for short-term requirements like 12-18 months,” said Marwaha. In July, WeWork opened its first centre in Bengaluru with 2,300 seats, of which 90% has already been occupied. Two more centres in Bengaluru are in the pipeline, he said. The company has also leased an entire four-storey commercial property at Andheri, which previously housed the headquarters of broadcaster Star TV India, to set up its second co-working office in Mumbai. Marwaha said the new place would start operation by December this year and would have around 800 seats. 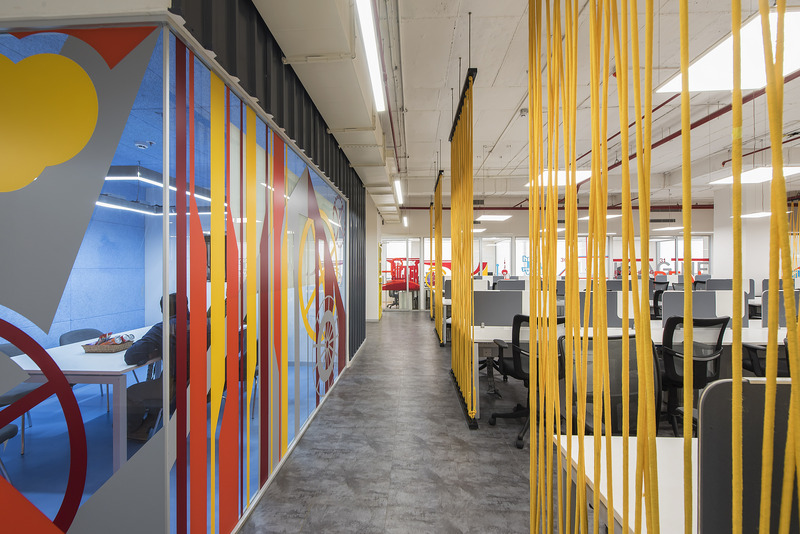 Sumit Lakhani, chief marketing officer of co-working services provider Awfis Space Solutions, agreed that many large firms are finding such spaces cost effective. Awfis, which started operations in 2015, operates in 30 centres with total seat of around 10,000 seats. “One of the things that we have seen is that companies do prefer to have their own headquarters where they don’t mind investing in resources and managing the whole space. However, with respect to offices across various other cities, they prefer to take co-working offices,” he said. In the last two years, several big and mid-sized firms have used co-working spaces particularly for their sales force and other mobile staff. In late 2015, apparel firm Pepe Jeans took around six seats at one of the centres run by Awfis in Benguluru. Since then, it has made the space its South India regional office. It also plans to take up few seats at one of the upcoming Awfis centres in Kolkata and turn it into a branch office for the eastern region. This month, Awfis also leased over 23000 sq.ft in Crescenzo, a commercial office building in BKC, Lakhani said. “Our sales forces are spread across the country and for that, we don’t need a big office. Taking up a co-working space is cost-effective for us. Secondly, leasing an office comes with the additional headache of maintaining the place, additional manpower, deposits, registrations etc.,” said Suvojit Mukherjee, regional manager (South India), Pepe Jeans Ltd, adding he is able to save around Rs 20-25,000 every month as compared to leasing space at a prime office building in Bengaluru. Gurugram-based food tech company Zomato said two of its teams of 20 each in Mumbai and Kolkata operate out of co-working centres run by Awfis. “Co-working spaces come with a plug-and-play set-up and offer most amenities that a functional office needs, and the overhead of lease lock-ins, and furnishing etc is also lower since we have smaller teams working out of these spaces,” a Zomato spokesperson said in an email response. According to Vikas Lakhani, co-founder of Gurugram-based Instaoffice Business Solutions Pvt. Ltd, nearly half of all desks are vacant in large offices and most spaces are underutilised. “Now, they have started to realise this. With co-working spaces, you only pay for what you are using. So, you end up saving a lot of the overall cost of operation, ”he said. Amazon India, Yahoo and Dr. Reddy’s Laboratories, are among companies which have taken space at his Instaoffice spaces, he added.